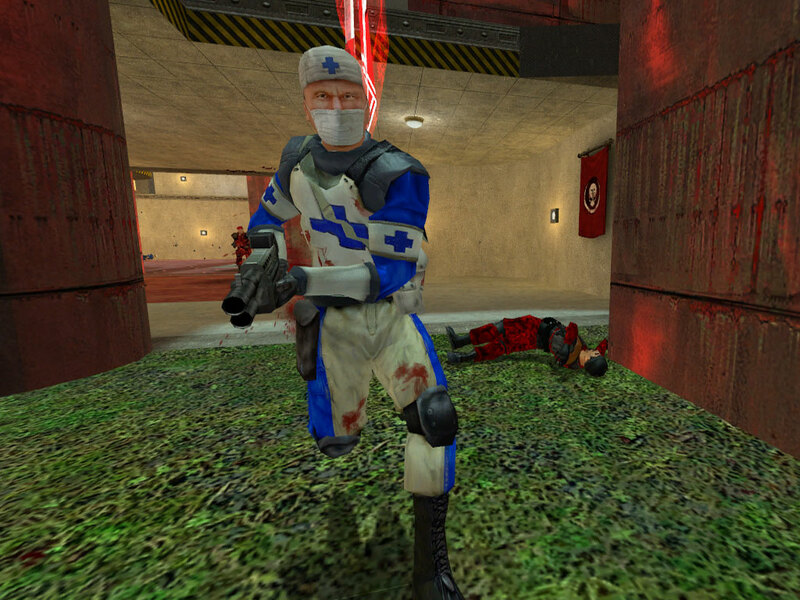 Team Fortress Classic, the predecessor to Valve’s most successful multiplayer FPS, has had a pretty decorated history itself. Released in 1999 as a Goldsrc port of the hugely popular Quake mod Team Fortress, it came bundled for free with Half-Life which granted it a large and prospering player base for years, a player base which stayed strong until 2007, when TF2 came out. At around the same time it received a $5 price tag, and as a result the community for this game has dwindled to near nonexistence. Whenever I try to play I can only find two servers that are reliably populated, one 24/7 dustbowl and one 24/7 2fort. If the game were made free-to-play I’m positive that it could regain a real playerbase. For one, interest in TFC among the TF2 community is at an all-time high due to several homages that were recently released. The first is The Classic, which lets TF2 snipers shoot heads with the legendary TFC rifle of myth. The second homage I don’t want to spoil, but I encourage you to read the ongoing comic series which starts here. In addition, Fortress Forever recently announced that in the next few weeks it will be released on Steam as the culmination of a yearlong Greenlight process. FF is an ambitious standalone mod whose goal is to recreate the magic of TFC using the Half-Life 2 engine and slightly adapt the classes to appeal to both TFC and TF2 players. FF is also free to play, meaning that its release marks the best possible time for TFC to join its brethren and allow a new generation of gamers to experience the game whose legacy endures on multiple fronts. If TFC doesn’t go F2P, people are just gonna get their concussion grenade fix here! Picture by squeek502. There’s so much that TF2 players can learn from playing its predecessor! As a game dev, I found it an enlightening experience to try out TFC and note what Valve attempted to cut and what they had to adapt when designing the sequel. Did you know that the sapper was Valve’s apology to spy for removing grenades? In TFC the spy could throw grenades without losing his disguise, which was his major tactic of choice against sentries. Did you know the classic version of the Scattergun was equipped by half the classes but not the scout? Valve changed this in TF2 because they wanted to adapt the scout’s primary role from flag-capturing to picking and one-on-one combat. TFC is an amazing game and it breaks my heart to see the state it’s currently in. It was free for the majority of its existence and I truly hope Valve will decide to make it free again. It deserves that much.